As a former faculty member at the New York University College of Dentistry for over 20 years, I did more than just teach hundreds of dentists. I also shared ideas with some of the most talented minds in my profession. The base of knowledge I gained during this tenure has given me the power of discovery, the ability to assess problems and adapt to changes in dental care. During these years I also had access to many dental advances before they became widely available. By seeing how these materials and techniques worked firsthand, I was able to implement the most proven ones within my New York & Tarrytown dental practices. Personal attention makes the difference and I believe that in order to provide quality dentistry a patient can't be rushed. That's why I will spend the time necessary with you to fully understand what your dental needs are. This includes asking what your expectations are, answering all of your questions and explaining your treatment options in great detail. It's the same kind of friendly, compassionate dental care that I would want for myself. CLICK HERE to learn more about Dr. Hochenberg! 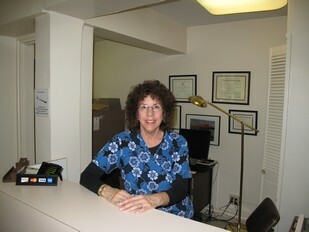 Susan has been in the dental field for 30 years and has worked with Dr. Hochenberg for the past 10 years. 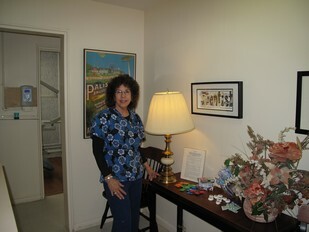 She now works in both the New York and Tarrytown offices. Her warm and comforting way will make you feel right at home. A " Jack of All Trades ", she is the doctor's right arm (even though she is left handed). She will handle all of your scheduling, billing, and insurance needs.